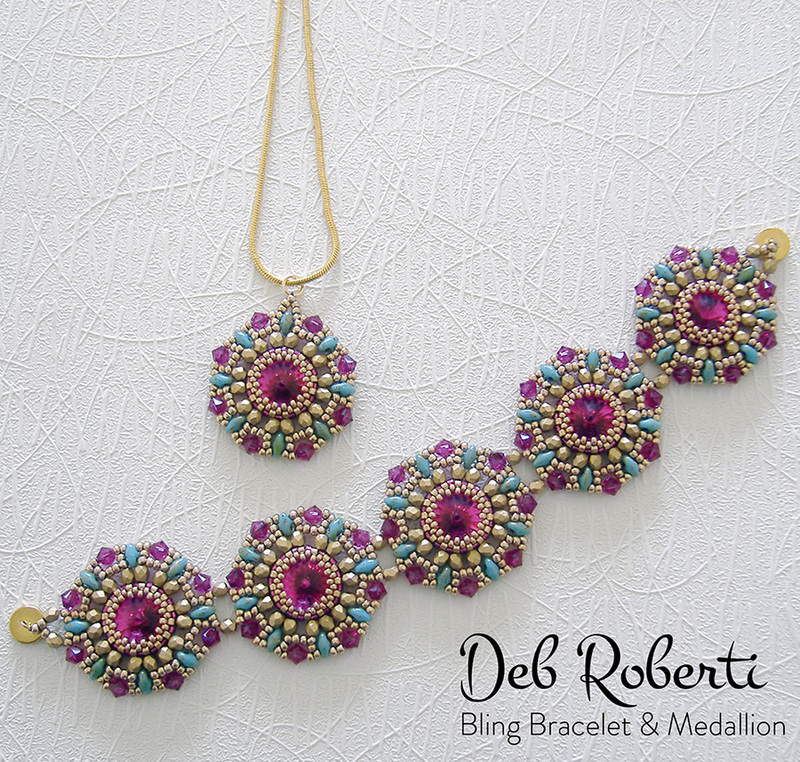 The bracelet is made by first creating five (or more) separate rivoli motifs by encasing each 12mm rivoli in a peyote bezel and then adding seed beads, SuperDuo beads, fire-polished beads and bicone crystals around the bezel. You then join these motifs together. Directions for matching medallion included. The pattern is fully illustrated with detailed step-by-step instructions.